This moving, exciting history of the 1912 disaster reads like an action movie with cliffhangers at the end of each chapter. The additional material, ranging from the only surviving photos of the inside of the boat during its journey to diagrams and timelines to accounts of what happened to the survivors afterwards, is exhaustive and meticulously researched. 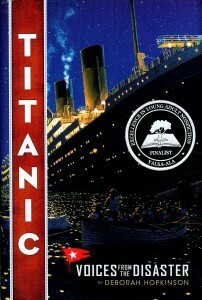 Readers will find themselves hoping that this time, the boat doesn’t sink. 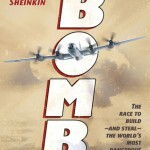 In this suspenseful combination of science and history, Sheinkin masterfully exposes the international race to develop an atomic weapon and bring an end to World War II. This true-life spy thriller features an international cast of characters and will keep readers on the edge of their seats. Period photographs of key players and an abundance of primary sources bring this well-researched story to life. 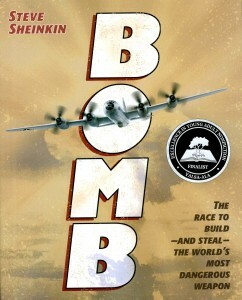 Sheinkin gives readers insight into what happened with all of the major players after the end of the war. A thought-provoking epilogue on the long term implications of atomic weaponry reminds readers that the results of scientific inquiry have long term implications for everyone. 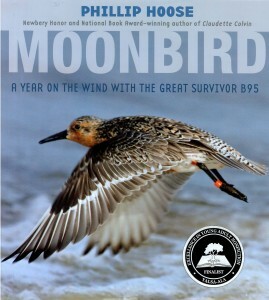 Moonbird is a fascinating look at the life of rufa red knots in general and B95, one long-lived and tough little bird in particular, and the worldwide efforts to understand and save this subspecies of bird from extinction. Through maps, photos, and descriptions of his journey, the reader will fly with B95 from near the bottom of the world to the top and back again. 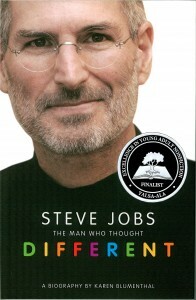 Equally reviled and revered — often by the same people — Steve Jobs, the man who operated from his own “reality distortion field,” was an extraordinary “tweaker” who transcended the visionary to perfect the simple and transform the world as we know it. Skillfully crafted and meticulously researched, Blumenthal’s accessible biography presents an intimate and fully dimensional portrait of a complex American icon and the multiple trajectories of influence on our technological paradigms that define his enduring legacy. 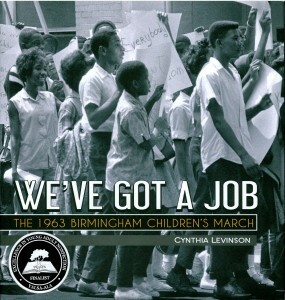 We’ve Got a Job: The 1963 Birmingham Children’s March, written by Cynthia Levinson, published by Peachtree Publishers. 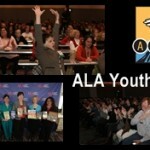 More information on the finalists and the award can be found on the YALSA website. YALSA will host a reception honoring the finalist authors and the winner, as well as YALSA’s Morris Award winner and finalists, at a free reception from 10:30AM to noon on January 28, in room 606 of the Washington State Convention Center. Members of the 2013 YALSA Award for Excellence in Nonfiction for Young Adults award committee are: Chair Angela Frederick, Nashville (TN) Public Library; Ruth Allen, Multnomah County Library, Portland, OR; Roxy Ekstrom, Schaumburg (IL) Township Library; Angie Manfredi, Los Alamos (NM) County Library System; Judy Nelson, Pierce County Library System, Tacoma, WA; Maren Ostergard, King County Library System, Issaquah, WA; Laura Pearle, VennConsultants, Carmel, NY; Adela Peskorz, Metropolitan State University Library, Saint Paul, MN; Jennifer Rothschild, Arlington (VA) Public Library; Sara Morse, Nashville (TN) Public Library; and Gillian Engberg, Booklist, Chicago. You’re more than welcome! 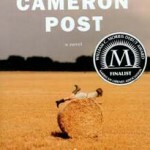 Thanks for all that you do to provide teens with great reads! We hope you can participate in the award presentation and reception at the ALA Midwinter Meeting on Jan. 28th in Seattle! That makes for a nice pre-break order. And then I can get started on my Best of the Best 2013 list! 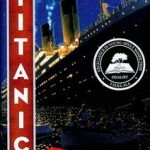 It’s amazing: the Titanic story never dies! My daughter was obsessed with it years ago and we still have a collection of books. I’ll have to add this one for her younger sister.